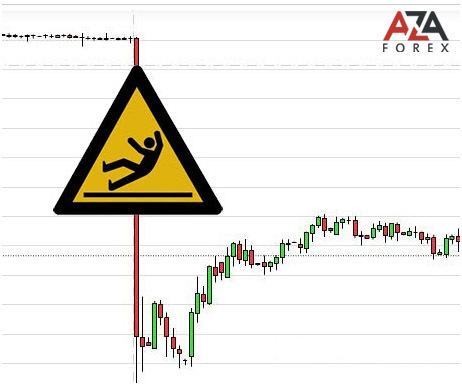 Slippage, as a rule, takes place in the forex market. And with it presence there is nothing bad or critical, because first of all, this is a sign that the market is real: trade is conducted on the interbank market. Very often, slippage occurs on ECN accounts -types of accounts that are posted to the interbank (in whole or in part, which largely depends on the position of the trader). That is, the factor of having slippage is normal. It's just that a trader needs to work with him. They are hidden in the result of market execution: it is a line of orders and sent orders for sale or purchase sent by players. That is, the market must "process" a number of such orders. For example, a trader plans to open a position to buy. In the market there are such options: 100 lots at a price of 1.3145. At the price of 1.3156 there are 50 lots. The trader plans to buy at a price of 1.3146 and presses the buy key. But the market is a big sphere and there are a lot of requests for a purchase, and these 50 lots have already been given to other buyers. Consequently, the market demand is huge (at such a price), and for the player simply there is no longer a lot (no left). But the broker responds with calmness and gives a new price of 1.3147. The trader either agrees and acquires the lot at the established, new cost, or at market execution, the consent for it is made by the company. In other words, you can choose-or take at a price of 1.3147 or wait for the following sentences (1.3148, ...). Availability of demand and supply on the market indicates liquidity-either it is present or absent. Accordingly, the first reason for slippage can be defined precisely as liquidity. The order of the trader is divided into parts, and then "transported" to several broker liquidity providers: so the trader will get the average indicator at a price, or worse, or better than he himself indicated. In this case, slippage is only partially observed. Quite often, when the market expects the news to come out, and there is a problem with liquidity: orders are very strongly experiencing slippage. The reason the orders are slipping is due to the fact that banks and companies (liquidity providers) leave the market (in order to avoid sharp price or loss surges), and the spreads have already been expanded (brokers do not want to incur losses). That's the effect: in the news period the spreads are large, slippage is significant and it is extremely problematic to earn. Also to the main reasons for which slippage may occur, one can attribute the technical side. These are problems associated with network delays (between the terminal and the server) or insufficient Internet speed. To avoid slippage, the trader will need a good and stable Internet. For example, a wired connection. When working in the terminal, you need to disable unnecessary programs that actively consume the network. The next item is the settings in trading terminal. When clicking on the new order window, you must select "use the maximum deviation from the requested price", or choose the maximum allowable value for slippage in points. The third solution to the problem is the use of limit pending orders. There are several of them- Buy stop / Sell stop and Buy limit / Sell limit. Orders of the limit type, retain for us only a part of the liquidity, but this works for accounts with the possibility of withdrawal to the interbank. These orders also show slippage, but the probability is much lower than, for example, market orders or stops. The next way is to trade on higher timeframes. Trade on the M5 is better to replace the daily charts, and then sliding into 5 points will not be noticeable. Choose a high timeframe and simply disable the problem. In addition, try not to conduct trading on the news: half an hour before the release and half an hour after. So we will eliminate the complexity associated with liquidity. Another solution is to sort the volatility. Using news with high volatility, you can reduce losses. Alternatively, choose trading on days when volatility is overstated: increase profits, as well as minimize losses associated with slippage. Do not forget that slippage, first, characterizes the reality of the market: orders are issued to the interbank market. - Try to increase the timeframe and set the sorting of volatility.